Google Drive Details: The Google updated its drive and it will roll out to the public in few days. Now, we can able to see the details of files and folders of Google drive. Recently, the Google updated this small change on the Google Drive. 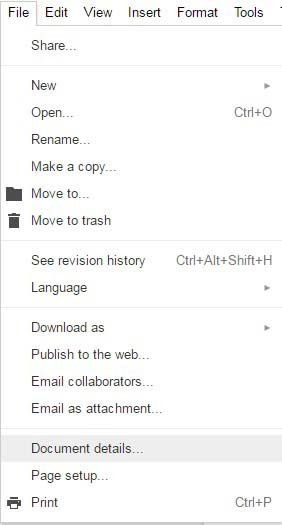 Now, you can view the details of google drive files and folders. 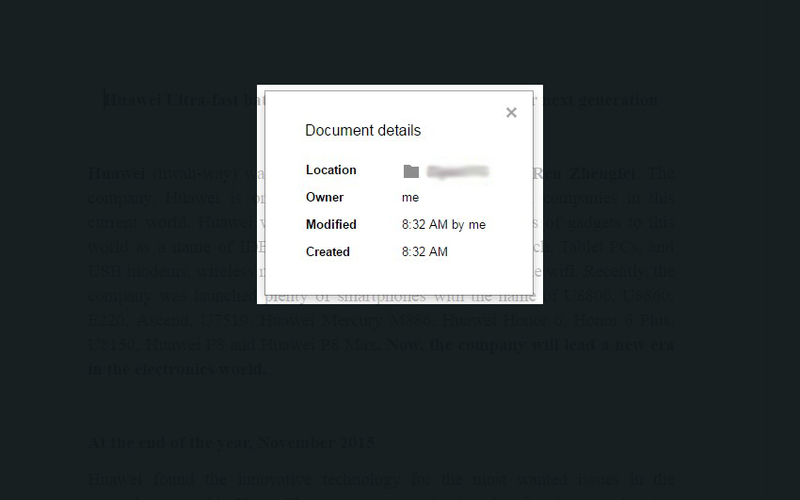 The details show you the Location of the file/folder, Owner name, file/folder Modify date and Created date. Google Docs, Sheets, Slides also have the same capability and you can read the details of the files. Just click the “Document details…” option in the file menu.